Hey, magic maker. Tell me if this is you? You have all these great ideas and you have a real need to maybe make a bit more money in your business and you think the two might be connected. Like maybe I can make more money on these great ideas, but it’s really, really hard to bring them to life. Do you struggle to get past that perfection monster in order to get something out in the world? If you do, you’re certainly not alone. I definitely can relate to that and almost every entrepreneur I’ve ever worked with has struggled to bring things to life, mostly because we’re afraid that once they’re real, it can be judged. Once they exist, they might not be perfect anymore. Today I want to dive into a strategy to help you get past that perfection monster when you’re bringing new products into the world. And more important than that, make sure that the products you are bringing to the market are things people actually want and are willing to pay for. So you don’t end up wasting all of that time and energy getting it just right and then have no one buy it. Have you heard of the term MVP or minimum viable product? 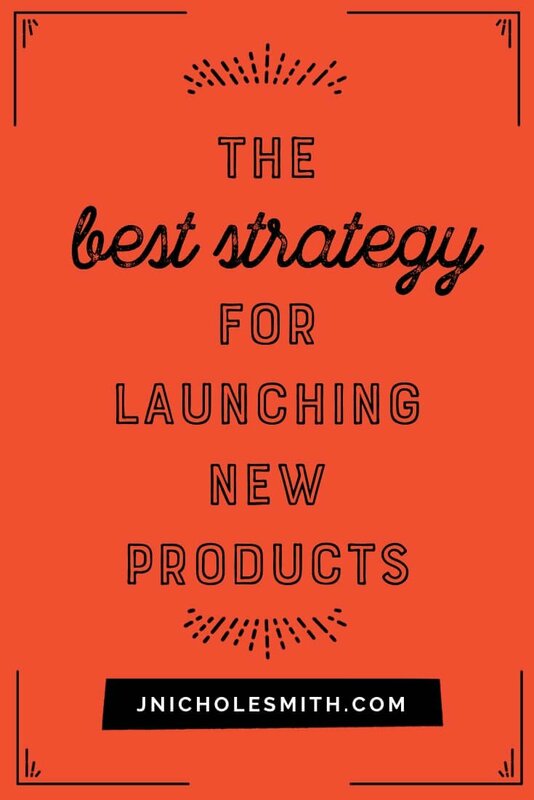 It’s something you see floating around a lot in digital marketing communities these days because it’s a fantastic strategy to bring new products to life. But what does it mean? 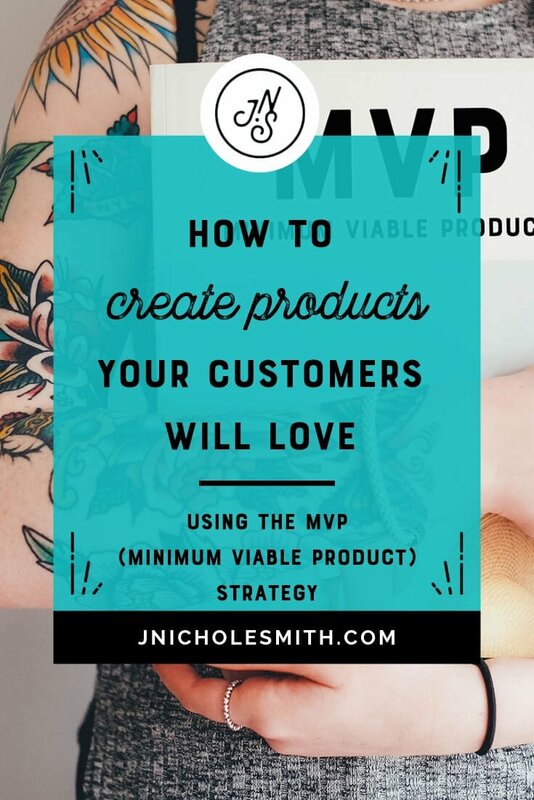 Well exactly like it sounds a minimum viable product is basically the bare minimum of a new product that you can bring to market to see if it’s viable. And this is super important because one of the things I see all the time are awesome entrepreneurs spending all this time and money and energy building these amazing new courses or books or events and then they go to sell them. And nothing. Crickets, right? So you’ve done all this front loading of investment and time and money, and then it’s impossible to sell. So an MVP strategy helps you get around that. It helps you get around a couple really important things. One is the perfection monster, right? So if you’re struggling to start, if you’re struggling to bring something to life, if you’re worried about getting it perfect in order to get it out there, because obviously people are going to see it and then, oh my gosh, they’re going to judge me. An MVP, is a great way around that. But more importantly, it’s a great way around knowing whether or not anyone’s actually going to buy it. Let me tell you a little bit more about how this works. 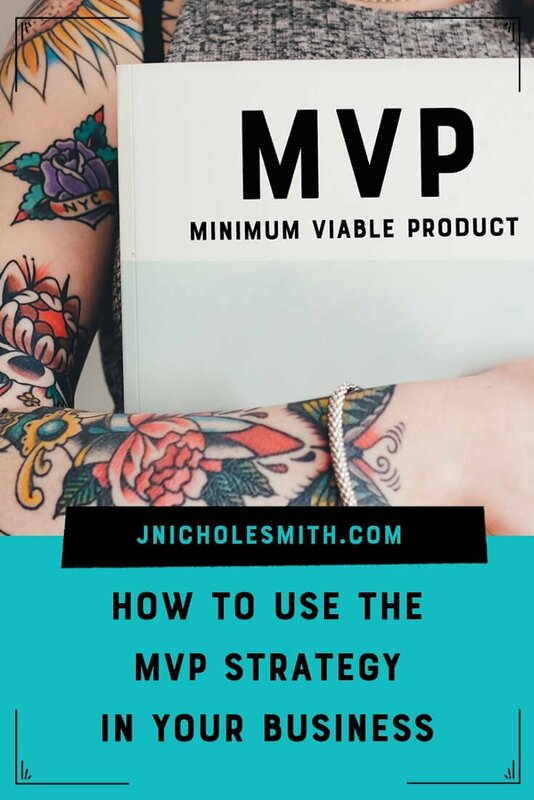 There’s four really important parts of creating an MVP strategy. The first one is you need to start with an audience. You need to have someone to talk to or to sell to with any MVP products. That is the first step. It’s not the product itself, it’s making sure you have a group of people, and it doesn’t have to be that large, that you were going to be able to talk to or sell this product to. So that means the first step for this stuff is actually looking at building an email list or a Facebook group or leveraging a group or audience of someone you can partner with to be able to get instant feedback or to be able to launch the product once it’s done. So number one is audience first. The second thing is you want to sell the product before you build it. And I know that might sound a little bit crazy and maybe even a little bit stressful for those of you who are on the method side of the entrepreneurial spectrum and you love to plan and have everything done and perfect before anyone knows about it. 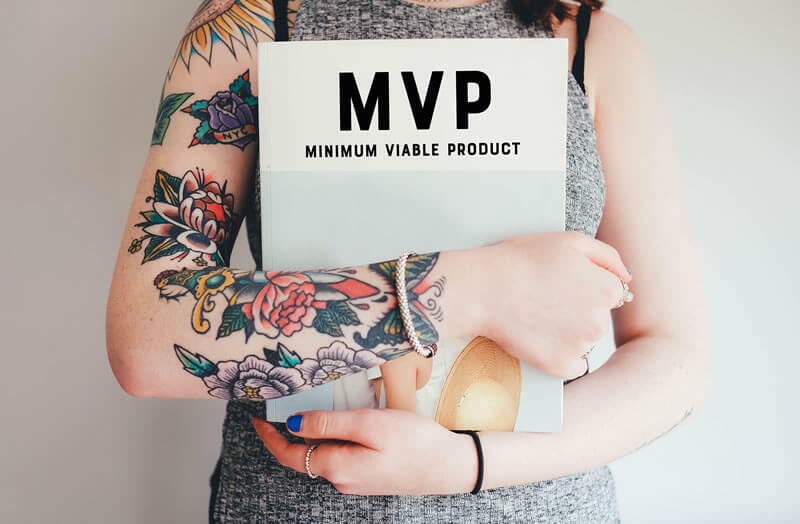 But the whole point of an MVP is that to test the viability of something, you actually put it out for sale at a certain price point and you see if anyone wants it. And if they do, then you build it and deliver it. And I’ll talk about that more in a second. Because I know I can tell you’re already going to panic about how to deliver it once it’s already been sold. Don’t worry. The third thing is that you only build it if someone buys it. So if you put something out there and no one buys it, you don’t do it. And that is the test of viability. It’s not a viable product because nobody wants it. So then you’ve got some options you need to look at, do I need to adjust the price? Do I need to adjust what’s included? Do I need to communicate differently about what’s included or the price to make it more to seem like higher perceived value. Or again, tapping that audience to get feedback about why nobody wanted it so that you can tweak it and try again later with a different MVP. When you are bringing a minimum viable product to life and you’re testing it, it’s okay to say, hey, we’re trying something new. And the language that people will often use, which I’m sure you’ve probably seen online, is this is a beta. And what that basically means is this is the first one. It’s a little bit raw. So people have different expectations going into it. Then they do with something that is completely perfect or finished. So you want to label it as a Beta or a test product. And along with that you want to offer it at a really, really great price. So what you’re basically saying is come along on this journey. You’re going to be the first, you’re going to help us build it. We’re going to make it awesome together and to reward you for that, I’m going to give it to you at this crazy steal of a price. So typically that will be like one quarter or one third or one half of what the product will ultimately be. Once it’s perfect and you bring it to life. If no one buys it, don’t built it yet. We’ve talked before about how we have a tendency as entrepreneurs to make things more complicated and it’s nice to be able to actually ask what would be easy. So that’s my challenge for you with this is to ask yourself what would be easy instead of what would be perfect or what did so and so do that. I’m going to copy tat. If you want to build an online course, you can run it live instead of pre-recorded videos to give to your audience. So running it live, one of the easiest places to do that is just simply set up a Facebook group and go live in Facebook to do your weekly teaching done, no website, very, very easy. Speaking of websites, if you’re looking for a place to sell this thing that you’re bringing to life, you don’t need to build a fancy fancy website and go get a custom domain and know what you’re going to call it forever and all of that stuff. You can simply build a landing page and there’s an easy tool called Leadpages.net which will link in the show notes, which is a fantastic resource to just go in and knock together a super easy page with a pay now button. And that’s it. That’s all you need. So don’t think that you need to build an entire brand and website just to sell something. The other thing I suggest looking at when you are pulling this together is potentially adding a one on one component. Now the reason for that is it makes it easier to sell. So people love knowing they’re going to get access to you one on one, but also it’s a bit of market research. So as people are going through the course, not only will they be more supported, so there’ll be more likely to finish it, there’ll be more likely to get more out of it and that will be great for you and you gather testimonials at the end. So typically the way this strategy works is you run an MVP or a beta. Once you have people go through it, whether it’s a course or a program, and then you build the real version that is usually a little bit more expensive, maybe a tiny bit more polished, and you use all the feedback that you got from the first one to make sure that it’s working right for you. And this is such a fantastic way to get past this perfection monster because again, you’re selling it before you build it. Once you’ve sold it, you have to bring it to life, right? You don’t have a choice. So that makes sure that it gets done. And then you’ve done it once, you’ve got the experience and it’s easy to run through it and build the second version because of the basics are already in place. So that’s it. That’s our MVP strategy. I hope you found it helpful. If you want more great strategies like this or resources, have a look around here, or you can join our free Facebook group. We have conversations about stuff like this all the time. So feel free to jump in and ask questions over there. Hope to see you soon.